Your baby is ugly! Picking which code is required for Commercial Core. There’s no point in sugar-coating this: selecting API and code sections for core requires making hard choices and saying no. DefCore makes this fair by 1) defining principles for selection, 2) going slooooowly to limit surprises and 3) being transparent in operation. When you’re telling someone who their baby is not handsome enough you’d better be able to explain why. The truth is that from DefCore’s perspective, all babies are ugly. If we are seeking stability and interoperability, then we’re looking for adults not babies or adolescents. Explaining why is exactly what DefCore does by defining criteria and principles for our decisions. When we do it right, it also drives a positive feedback loop in the community because the purpose of designated sections is to give clear guidance to commercial contributors where we expect them to be contributing upstream. By making this code required for Core, we are incenting OpenStack vendors to collaborate on the features and quality of these sections. This does not lessen the undesignated sections! Contributions in those areas are vital to innovation; however, they are, by design, more dynamic, specialized or single vendor than the designated areas. 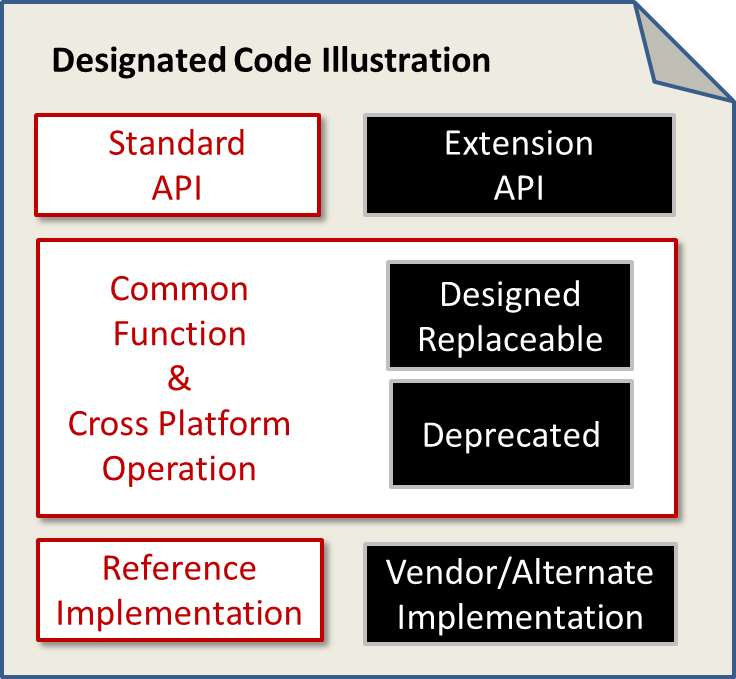 Unless code is designated, it is assumed to be undesignated. This aligns with the Apache license. We have a preference for smaller core. If the community cannot reach a consensus about designation then it is considered undesignated. Except obvious trolling, this prevents endless wrangling. If there’s a difference of opinion then the safe choice is undesignated. Loose descriptions of designated sections are acceptable. The goal is guidance on where we want upstream contributions not a code inspection police state. Guidance will be revised per release as part of the DefCore process. In my next DefCore post, I’ll review how these 10 principles are applied to the Havana release that is going through community review before Board approval. This entry was posted in DefCore, OpenStack, OpenStack Board, Product Management, Quality and tagged Consensu, Core, DefCore, Designated Sections, OpenStack, Principles, Ugly Babies by Rob H. Bookmark the permalink. Great work! OpenStack community needs more this kind of framework (along with mechanism) to make itself serves its original mission in a stable way.